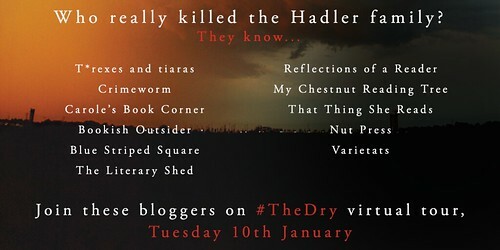 I'm super excited to be part of the blog tour for The Dry, which is one of the most compelling books I've read in a while. Set in small town Australia, Aaron Falk is drawn back to town for the funeral of one of his childhood friends. As Falk teams up with small-town cop, Raco to try and uncover the truth about the Hadler family, it's impossible to ignore something which Luke and Aaron were involved with when they were younger. A girl's death, which drove Aaron and his father out of town, even though he swears he wasn't involved. 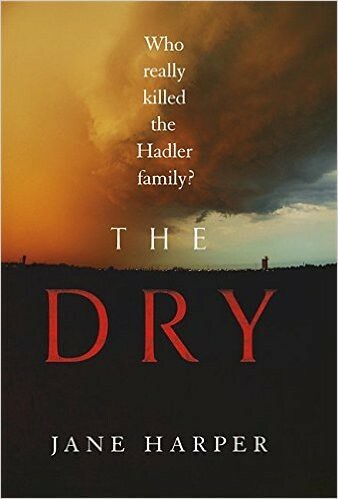 I loved the way The Dry was written in such a slow-burning fashion, reflecting the suffering of the local area through the drought conditions, perhaps? There's a sense of desperation, urgency; for answers to be found? For the town to discover the truth about Ellie? For Aaron to clear his name? See what the other readers on the tour thought of The Dry.. I really enjoyed this one - keeping an eye out for more from the author.